Caffe Cagliari di Modena Taste Trails Rome cookery weekend breaks. 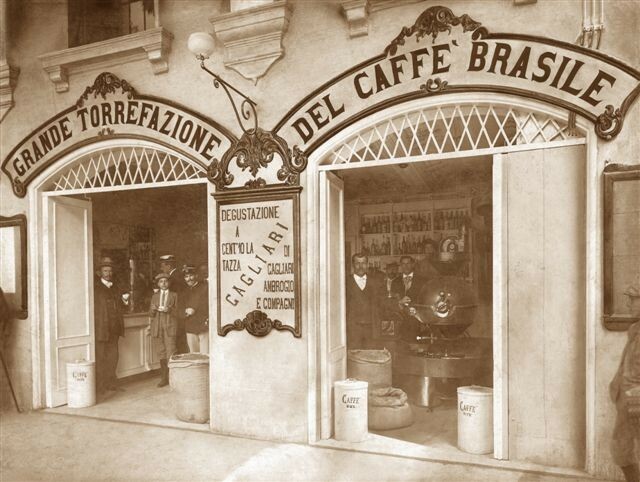 It was in 1909 that Ambrogio Cagliari, after many years spent in Brazil and a great number of awards for his highly-acclaimed coffee blends, opened the first coffee roasting and tasting shop in Modena. 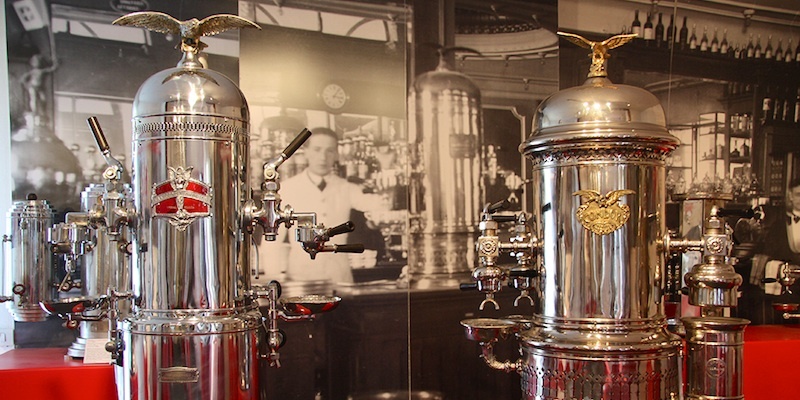 For more than 100 years and across four generations, the Cagliari family has passed on their knowledge of the origins of coffee and their production secrets and experience, together with a profound and sincere adoration for coffee. Over time, the Cagliari family transformed their small shop Bottega del Caffè, to which the blend with the same name is dedicated, into a modern and state-of-the-art company that remained faithful to its most important founding value: quality. This is an objective which has been accomplished through the constant search for the best plantations and the best quality of raw coffee, roasting the different types of coffee before artfully blending them to create the wide range of Caffè Cagliari products. 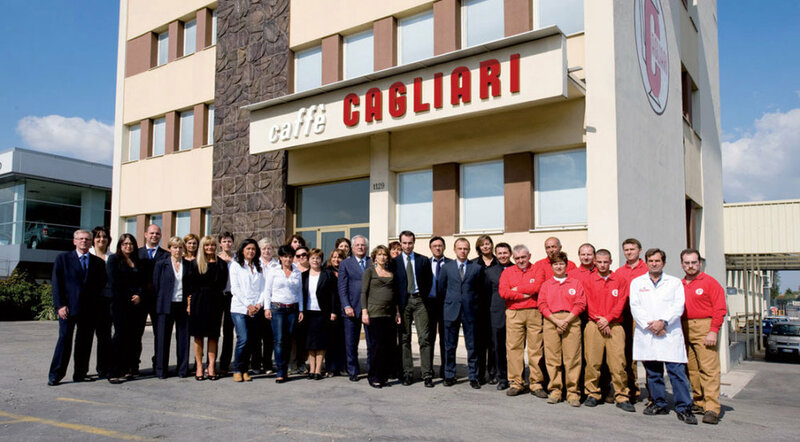 Traditional recipes are modified over time, in line with new consumers’ tastes and habits, and today Caffè Cagliari is one of the major coffee roasting plants, operating both in the bar and domestic settings, in Italy and abroad: the brand now covers an annual consumption of around 150 million cups of coffee ! a training centre set up by the company and is dedicated to teaching to the highest standards not only coffee professionals but enthusiasts as well.. There are a variety of different courses in the the school contributes to the diffusion of a more vast and profound coffee culture, and to the creation of professional figures that are increasingly better equipped to make Espresso tasting an essential sensory experience. At the school, specialisation courses are also held for obtaining the Coffee Taster License and Espresso Italiano Specialist Certificate. Caffe Cagliari has always strived to be a state of the art company and in the company museum The Caffè Cagliari “Coffee Machines” Collection gathers over 80 Espresso coffee machines for bars, ranging from the early steam-powered column-shaped machines of the early 1900s, to the manual lever-driven machines of the post-war period, and to the continuous supply models of the 1960s. And now in the 21st century Caffe Cagliari continue to innovate in their mission to produce world class coffee. Next stop on our Taste Trails Rome cookery weekend breaks tour of Emilia Romagna , The Barilla pasta company of Parma. With a Taste Trails Rome Italian cookery holiday you will on a daily basis be tasting some of Italy's finest foods - fine Italian coffee is most definitely amongst them. We run the cookery weekend breaks and week long holidays through out the year from March to November . A warm welcome awaits.